Wally’s Answer: This blue screen error is pretty annoying because it happens after you have installed Windows on the computer. It is caused by driver problems and may happen on default Windows settings, making it appear just after installing Windows. But don’t worry, we can get rid of this error as long as we know how. The computer restarts when attempting to load Windows. 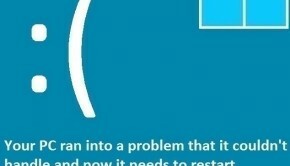 It is known as STOP 0x000000FC or the Attempted Execute of Noexecute Memory error. This error is caused by device driver issues. It appears when the problematic device driver tries to access an inaccessible area on the computer’s memory. This area is always used by the operating system. The Attempted Execute of Noexecute Memory error appears when a driver tries to use the same area on the memory as Windows. This error is related to computer memory (RAM) of the computer. We will need to test the memory to make sure that it is in proper working condition. 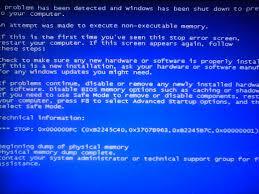 This can be done easily using the Windows Memory diagnostic tool. Follow the instructions to complete the scan. If the scan concluded that the computer memory is defected then you should replace it as soon as possible. If the memory diagnostic test says that everything is fine, then try the following the next steps. A faulty device driver is the most likely cause of this error. To fix this error, you will need to update the chipset driver and maybe the video driver as well. Updating device drivers can be done by going to the computer manufacturer’s website and downloading the latest version of the driver from there. You can also use a driver utility like DriverDoc to update drivers without having to find them online.